Interested in becoming a Lowcountry Highroller sponsor? Our bouts can bring your business awareness to a new and diverse audience! This unique setting offers highly visible and vast multimedia benefits for our sponsors, including ads in our bout programs, bout-day banners, and in-bout mentions from our announcers. 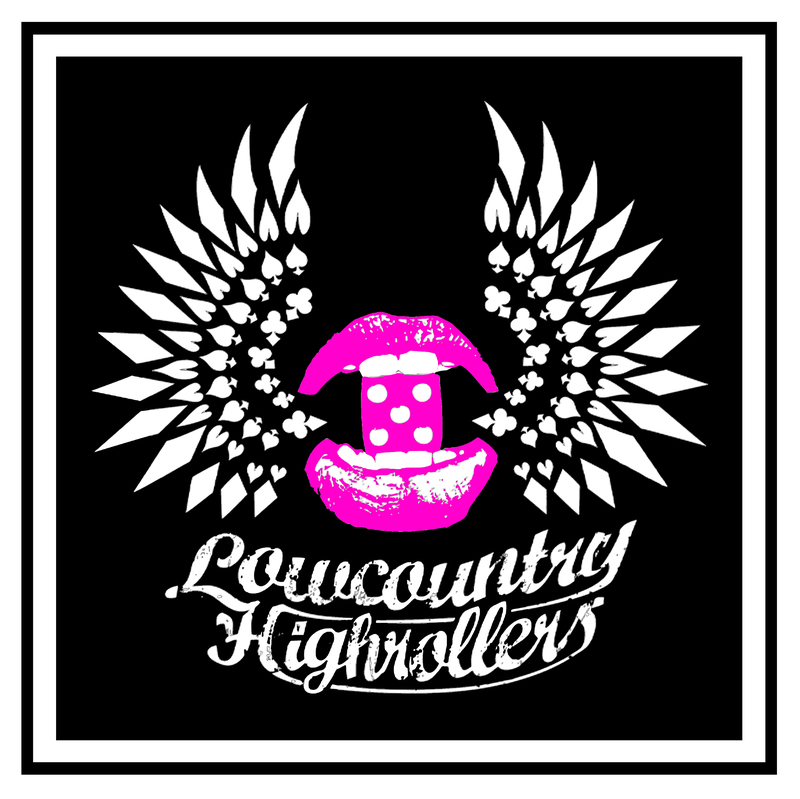 The Lowcountry Highrollers supports and develops amateur athletes for competition on the national and international level in women’s flat track roller derby. As a 501c3 non-profit organization, we strive to expand the awareness of the sport of roller derby in Charleston, South Carolina, by training local athletes and producing local competitions. The Lowcountry Highrollers have a variety of sponsorship packages to fit your needs. We are also always looking for unique new ways for our sponsors to get involved. If your company would like to offer service or merchandise in exchange for sponsorship, we will work with you to negotiate a deal that helps maximize your exposure and our appreciation. The league has two inter-league competition teams that are compiled of league skaters who compete against other leagues around the country. The Lowcountry Highrollers All-Stars represent the league in sanctioned WFTDA inter-league competitions that count towards WFTDA national rankings, and the Bruisin’ Betties represent the league in non-sanctioned inter-league competitions against other regional teams. While our bouting season is typically 10 months long, the league stays active year round on behalf of local charities, sponsors and community affiliations. If you would like to see what tax-deductible donations you can make to the Lowcountry Highrollers, please contact our Sponsorship Committee on the contact page. Roller derby is an expensive sport that requires the purchase of skates and accessories, protective equipment, league dues and insurance. Our rollergirls can always use a helping hand, so we are proud to introduce the Lowcountry Highrollers’ Adopt-A-Rollergirl program! This program enables companies, businesses, bands and private individuals to contribute directly to a Lowcountry Highroller’s derby career. Along with your donation easing the financial strain of participating in this growing sport, it will also provide your adopted rollergirl with the important knowledge that her hometown fans support her. Donors may contribute any dollar amount between $25 and $1,000, which will directly help your rollergirl meet the financial requirements for the league and the sport. The benefits of adopting a rollergirl don’t end with the satisfaction of knowing you’re making a difference in her life. Donors who contribute $25-$149 will receive a signed photograph of their sponsored skater. Donors who contribute $150-$1,000 will receive a signed photograph, an LCHR t-shirt, and a thank-you mention on our website. If you know a Lowcountry Highroller you would like to adopt, or for a list of available adoptees, please contact our Treasurer. Another way to help keep all-female flat track roller derby rolling in Charleston! Today, most internet casinos provide the best a range of safe repayment options mainly because otherwise his or her risk getting rid of the players to stand out among the list of competition and gain customers. 2. Enter the dollar value that you would like to donate. 3. Enter your credit card information or log in to use your Paypal account.